Welcome to Episode 107 of HubShots! Our first episode for 2018. This episode we discuss email etiquette, HubSpot Lead Flow email series, canonical URLs and our HubSpot Creative Top 10. 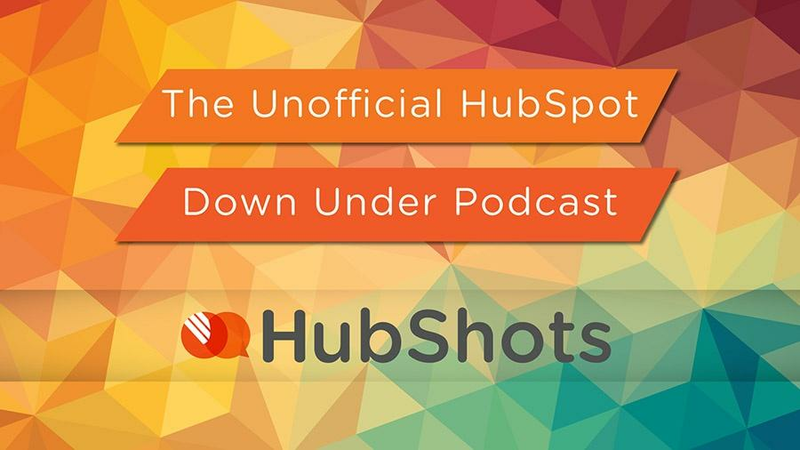 Welcome to Australia’s #1 HubSpot Focussed Podcast <== something we made up because there’s no other HubSpot only podcasts in Australia anymore. My year is complete: Today I sent a prospect a business email reply that was just an emoji. Consider how formal your emails are compared to your messaging replies. Do you ever say ‘Hi [firstname]’ in a messaging eg Facebook Messenger, WhatsApp, iMessage, etc? How much longer will you do it in emails? Consider using no personalisation in an email nurture campaign. You set up your sender footer details and then can create a series of very basic emails. The emails are plain text like, and don’t support personalisation. You can have delays (weeks and days, but not hours or minutes) between the emails. You can create up to 5 emails. Use Lead Flows on blog posts to offer a PDF version of the blog post content. Enable the Google AMP version of your blog. Connect your Facebook Ads account and create a website audience that you can target. Use canonical URLs in blog posts, web pages and landing pages where appropriate. Setup parent and child workflows – child workflows are self-contained workflow units, call them from any number of parent workflows. Use Dashboard Share function to send regular recurring emails to your team of the marketing/sales reports. Have a HubSpot owner assigned to the contact so when you do email marketing it goes from the contact owner and not marketi[email protected]! If you spend money on Google AdWords & Facebook advertising having the Ads Add-on is a must as you can see exactly what ads and keywords are converting. Also turn HubSpot Lists into ads targeting audiences, all while track the ROI of your ads automatically. Prospects Tool, use it to see who are potentially visiting your website and add them to the CRM as a company to follow up on. Why we are highlighting this is one of our customers wanted a solution to forms signed and returned quickly so they could process and start applications with customers quicker. They tested this out and the simplicity of use and integration with HubSpot CRM really worked well to speed up process and have all the data in the same place. Remember in the timeline to have HelloSign checked to view. Creating content as a way of giving. Craig was reading Peak Performance over the break. One section was about how optimal performance is related to having a purpose, as well as a giving mindset. 5-10 years ago we blogged stuff in order to give help to others. Then the marketers came along and ruined everything (to quote Kipp). We turned creating content from being an exercise in giving, into a process for taking. Ie the purpose of this content is to get a visitor to fill out a form. ==> We use content to take. And consumers subconsciously notice this. We know when content has been written just to get our attention and squeeze out an email address. We also know when content has been lovingly prepared to help us. Here’s a thought for 2018 – reset your approach to creating content – is it time to think about ‘giving’ again? As Joe Pulizzi says ‘build an audience’ – provide value first, and later consider whether asking for something in return is useful. Aside: one small tip I learnt – self-talk is useful, mostly when spoken out loud: the process of sound coming out and then going back into our ears triggers a different brain response than if we talk silently talk to ourselves.